On the 10th of December 2015 another Judo competitor was inducted into the Tasmanian Sports Hall of Fame. Dean Lampkin, born 13 April 1963, had a long and successful judo career, representing Australia at international competitions throughout the world. Dean showed great potential from a young age, winning the State under-65 kilogram class as a 13-year-old, in 1976. From there, his career went from strength to strength. Dean enjoyed success at the Oceania Judo Union Championships Titles winning gold in New Zealand in 1979; gold and silver in Fiji in 1981; bronze in New Zealand in 1985; and gold in Melbourne, in 1985; and Sydney in 1988. Dean won The Mercury Stars of Sport Award in 1985. Dean headed to the United Kingdom in 1986, where he won a gold medal in the Northwest Open in Manchester. Dean then headed to Edinburgh and took part in the first judo tournament at the Commonwealth Games, where judo was a demonstration sport. Judo was an official sport for the Commonwealth Games in New Zealand in 1990. Dean was selected for the Australian team where he won the silver medal in the 95 kilogram class. In 1987 Dean went to the United States of America to compete in the 5th Pacific Rim Judo Championships. At Australian National Titles, Dean won a total of eight gold, five silver and five bronze medals. 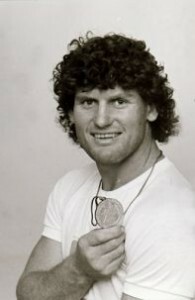 Dean held the Australian National Judo title for three years. Dean Lampkin is the first male judo player inducted into the Tasmanian Sporting Hall of Fame. Angela Kaye Deacon was inducted in the Tasmanian Sports Hall of Fame in 2009. Angela was born on 28 August 1970. Her father John coached Angela at his judo club in Ulverstone. Angela started to win state titles as a youngster and went on to win her first national title as a 12 year old, competing in the under 16 division. Being awarded a Tasmanian Institute of Sport scholarship helped her to gain interstate experience and the national selectors noted her good performances when she was chosen to represent her country at the 1988 Oceania Judo Championships. Angela won a silver medal in her first international competition, losing to the 1988 Olympic champion by a split referee decision. 1992 was a stellar year for Angela winning gold at the Oceania Judo Championships and becoming the first Australian, and to date the only female, to win the Commonwealth Championships, which she did in the under 56 kg event. This was a remarkable achievement for the outstanding young Tasmanian. Angela was invited to train in Sydney under Sue Williams, Australia’s best ever judo player. Given that Tasmania had no other competitive female judo players, this was an excellent opportunity to train at a higher level with the national team. Despite the move to Sydney, Angela still considered herself very much a Tasmanian. At the national level, Angela won three national titles and medalled every year over a 12 year period. She won eight New South Wales state titles and eight Tasmanian state titles. Angela retired from competition in 2000 in order to take up coaching roles. In 2001, she was made head coach for both the Men’s and Women’s New South Wales teams. Since 2000, she has been the National Coach for four world championships, one Commonwealth Games and was the Olympic women’s coach in both Athens and Beijing. Angela has also been selected to coach Oceania at two world team events. Both as an athlete and a coach, Angela indelibly printed her name in to the highest echelon of Tasmanian sport and thoroughly deserves her place in the Tasmanian Sporting Hall of Fame.